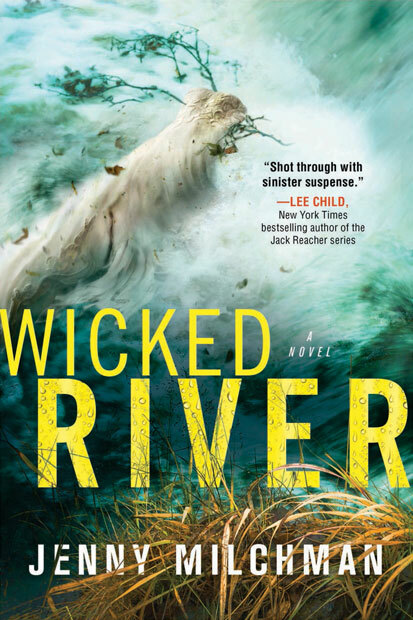 Meet Jenny Milchman, author of Wicked River, on June 16th from 6:30pm-8:30pm. Jenny Milchman is an award-winning, critically acclaimed novelist from New York State, who lived for fifteen months on the road with her family on what Shelf Awareness called "the world's longest book tour." Jenny's debut novel, COVER OF SNOW, was published by Ballantine/Penguin Random House in January 2013, earned starred reviews from Publishers Weekly and Booklist, as well as praise from the New York Times, San Francisco Journal of Books, the AP, and many other publications. It was an Indie Next and Target pick, short-listed for the Barry and Macivity awards, and won the Mary Higgins Clark Award for best suspense novel of 2013. RUIN FALLS, also an Indie Next Pick, was published by Ballantine in 2014 to starred reviews from Booklist and Library Journal, and chosen as a "10 Best of 2014" by Suspense Magazine. Jenny's third novel, AS NIGHT FALLS, was published by Ballantine in 2015. It was selected as an Indie Next Pick, earned a starred review from Shelf Awareness, was chosen as one of PureWow's Summer Top 30 and won the Silver Falchion award for Best Novel. Jenny is Vice President of Author Programming for International Thriller Writers, and in conjunction with Authors on the Air, hosts the Next Steps radio show, featuring ITW members. Jenny is also the founder of Take Your Child to a Bookstore Day, which was celebrated by over 800 bookstores in all 50 states and on five continents in 2016. Take Your Child to a Bookstore Day Field Trips--whereby schools in at-risk regions receive funds to send classes to the nearest local bookstore--began in 2015. They are a true labor of Jenny's heart, and with the help of talented book-lovers, authors, booksellers, and other advocates, she hopes ultimately to bring them nationwide. Jenny's short story The Closet was published in Ellery Queen Mystery Magazine in November 2012. Another short story, The Very Old Man, was published by EQMM in the July 2014 issue, and the short work Black Sun on Tupper Lake appeared in the anthology ADIRONDACK MYSTERIES II. A third story is slated to be included in Adirondack Mysteries III. In 2018, Jenny will have two new short works published in anthologies coming from Down and Out Books. Jenny releases additional works, mentors writers, and connects with readers on the crowdfunding platform Patreon. Come meet her there!